Michael Allen Flanagan, aka: Dean L. Seibert was born April 20, 1944 in Grand Island, Nebraska to his mother Debra Seibert. He was born with cerebral palsy and was then adopted by H. Riley and Mary (Mount) Anderson in Lincoln, Nebraska. Dean changed his name to Michael Allen Flanagan in 1999 in Lincoln, Nebraska before making his home in Minnesota. 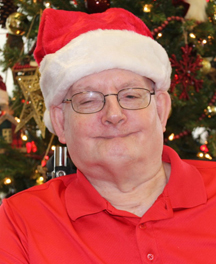 Since 2012, Mike has resided at Henning Rehab and Health Center in Henning, Minnesota. Whether watching baseball, eating chocolate pudding, or enjoying a cup of coffee, Mike loved spending time with his friends at the center. He was always kind and helpful when he could be and had a great sense of humor. Mike peacefully passed away on Sunday, January 20, 2019 at Henning Nursing Home with the care of hospice. He will be missed by all his friends and staff. Mike is survived by his extended “family”: residents and staff at Henning Rehab and Health Care.